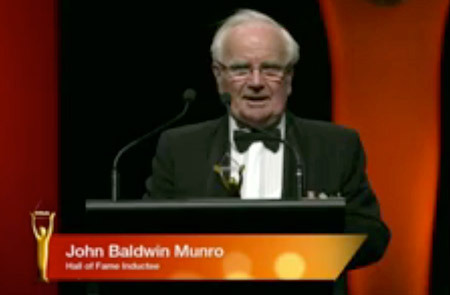 are due now - have you paid yours yet? 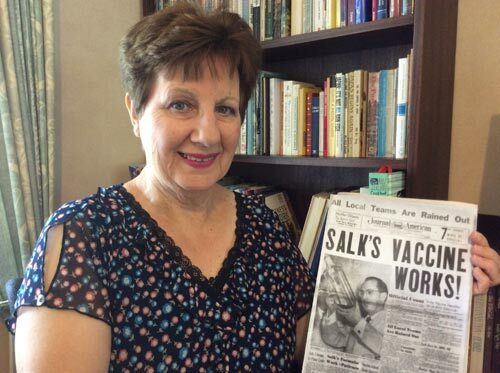 Bold newspaper headlines read: “Salk’s Vaccine Works, Polio Routed! Vaccine Triumph Ends Polio Threat.“ The first official public announcement that the polio vaccine was “safe, effective and potent” was made on the 12th of April 1955 in America. Can we imagine the rapturous joy, excitement and pure relief that one of the most crippling and terrifying diseases could now be conquered? Radio, TV, newspapers, public address systems in schools, factories and work-places, and ringing church bells shouted out across the nation that the Salk vaccine was successful. Huge crowds went wild as they gathered in the streets and around wireless sets to absorb this historic announcement. That day was also appropriately the 10th anniversary of the death of America’s polio president F D Roosevelt. In just the two years before the vaccine, polio cases in the US numbered more than 45,000, but by 1962 the number was down to 910, and in 1994 USA was declared polio free. 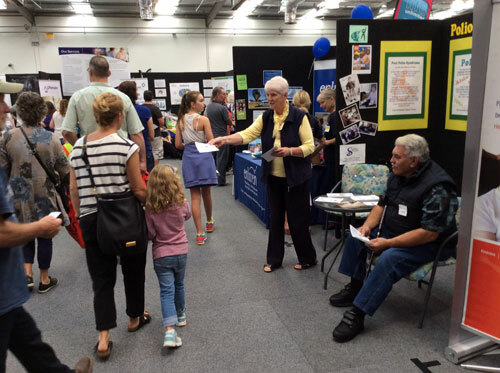 Here in New Zealand the records of how many contracted polio are not so clear or accurate. Between 1915 and the last polio epidemic in 1961 an estimated 10,000 people were registered, however many others went unreported. The first batch of Salk polio vaccines arrived here in April 1956. A small group of 8-9 year old school children were the first to be immunised. In 2000 New Zealand was declared polio free and this once-feared, dreaded disease has almost disappeared from our national psyche, thanks to Jonas Salk and Albert Sabin. The cultural and social impact of preventing regular epidemics of polio was enormous. The fear of wondering which child would be next to succumb to infantile paralysis, was lifted. Citizens could once again gather freely at churches, movie theatres, swimming pools, sports events and schools without wondering if there were any contagious carriers of the polio virus amongst them. This was the vaccine everyone wanted. In this modern era, there is absolutely no reason for anyone to be infected with the polio virus. It is so important to keep vaccination levels up in New Zealand because low levels could mean that a polio epidemic could be only a plane ride away. Total global eradication of polio is a continuing pursuit by Rotary, the Bill & Melinda Gates Foundation, and the World Health Organisation. Access to war torn countries is slowing down the efforts of these and other groups desiring to protect the most vulnerable in the population: children. Jonas Salk never patented his polio vaccine, saying “There is no patent. Could you patent the sun?” And he also said “hope lies in dreams, in imagination and in the courage of those who dare to make dreams into reality”. 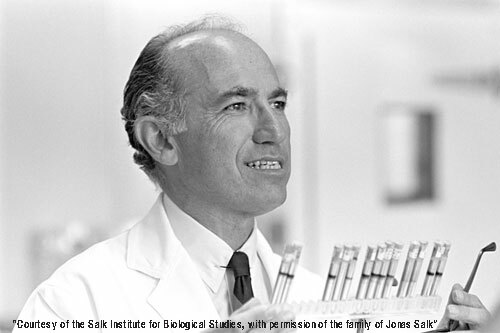 Thank you Dr Jonas Salk that your dreams of a polio vaccine became a reality. What could be nicer than an ice-cream party on a hot Summer’s day? 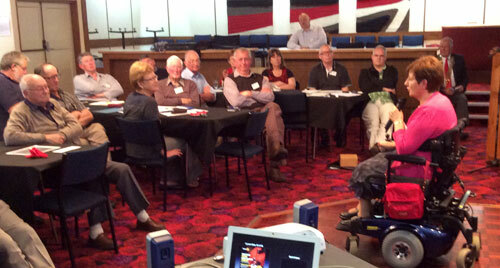 Nothing it seemed when 20 members of the Polio NZ - Waikato Support Group met for their February meeting. 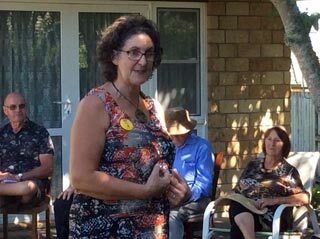 The speaker was Michelle Tanner, Rotarian Polio Co-Chair, IMAC Educator, and recently returned from several weeks in Pakistan teaching about immunisation and “hands on” doing immunisation. 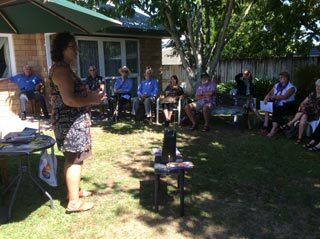 Her lively presentation kept us alert and interested and good questions were asked. 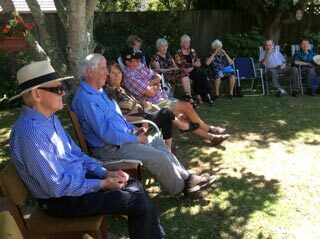 A variety of flavours and topping on the ice-cream were enjoyed under the shady trees in our (Noel and Edith’s) back yard. 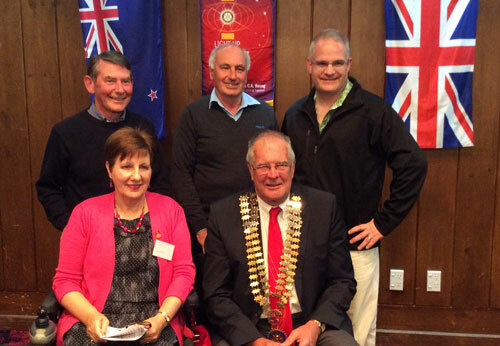 To mark World Polio Day, Edith Morris, former president of Polio NZ Inc, travelled to the central North Island town of Matamata (aka Hobbiton). 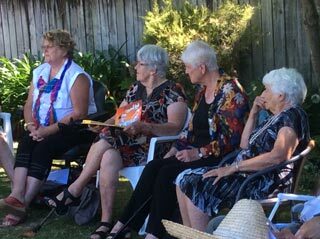 She shared her polio experiences at the local Rotary Club dinner on October 21, and encouraged them in the continued global eradication of polio. 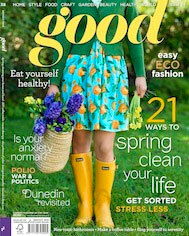 Of course there have been no recent cases of polio in New Zealand. But many of those who did get polio prior to about 1956 are still around. When they reach their 50s - 60s they often experience new pains and weaknesses above the normal ageing process. This is known as Post Polio Syndrome or the Late Effects of Polio. At this stage it is important that this condition is recognised and treated to avoid further serious deterioration. Some forms of exercise and some drugs can be counter-productive. Please get in touch with the Post Polio Support Society 0800 476 546, and read some of the information on this and associated web sites here.